The Flex lamps are distinguished by their visually refined and stylish silhouette. Constant Voltage 24V. 100-240V. 50/60Hz. The Flex table lamp designed by Ramos & Bassols for Vibia is conceived as a basic accessory for work spaces where functional reading light levels are guaranteed. 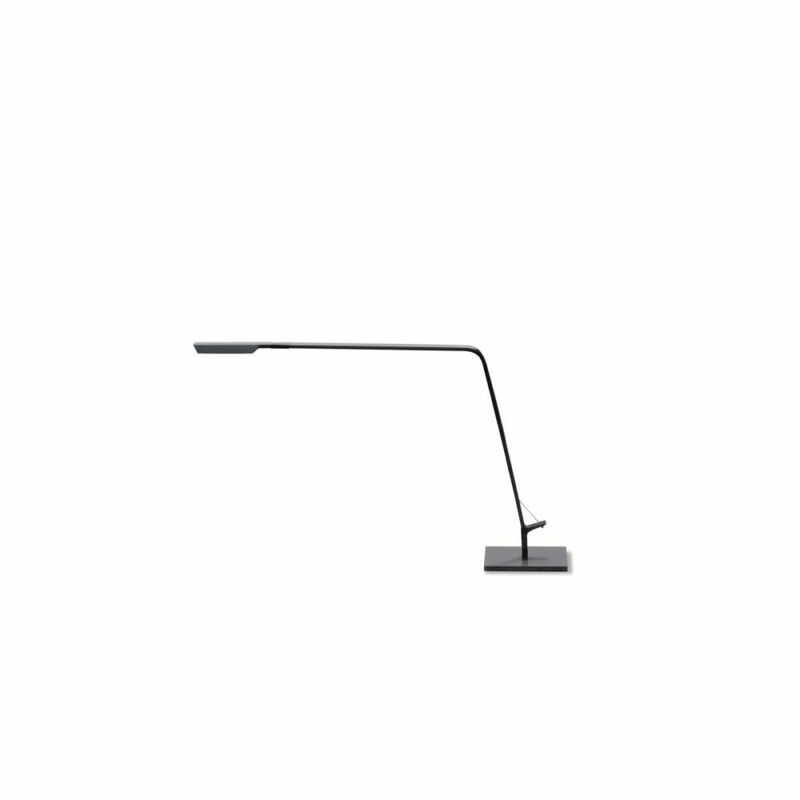 The electronic solution utilized by the Flex lamp is based on LED technology which provides superior lighting performance as well as a light distribution that can be regulated using optical sensors integrated with the head allowing a variety of lighting effects: from intense to tenuous and warm, but always comfortable. The designers Ramos & Bassols have specialised over the years in the design and development of diverse products: homeware, lighting, home and contract furniture, urban furniture and other products. They have come up with many lighting projects for Vibia amongst which are included the Alpha wall and reading lamps, the Domo ceiling lights, the Flex table and reading lamps, the Micro ceiling and wall lamps, the Millenium bathroom lights, the Plis Outdoor lights, the Up ceiling-lights and the Warm collection. An extraordinary variety of light fittings suitable for all areas and applications.